This is a round Lincoln Telephone porcelain sign. 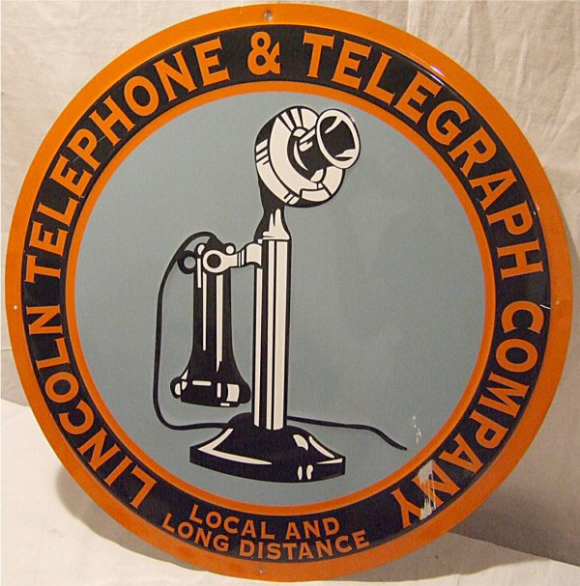 This particular Lincoln Telephone sign is orange and blue. It reads, “Lincoln Telephone & Telegraph Company, Local and Long Distance” and features an old telephone against a light blue background.